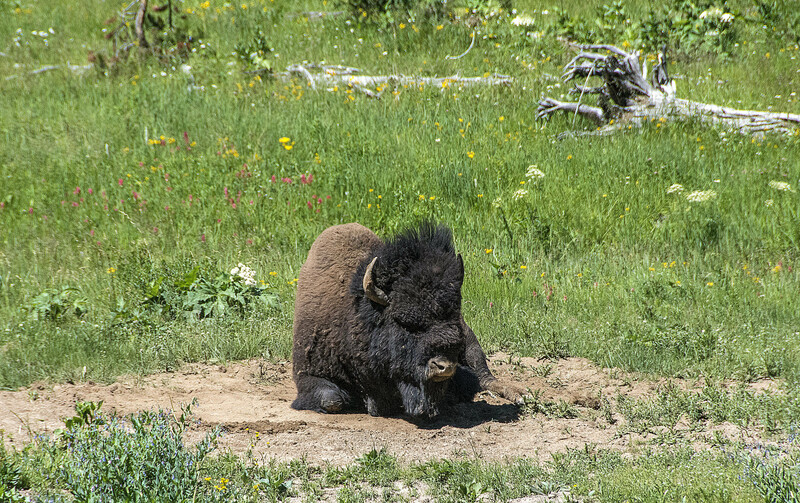 Buffalo in his mud patch! 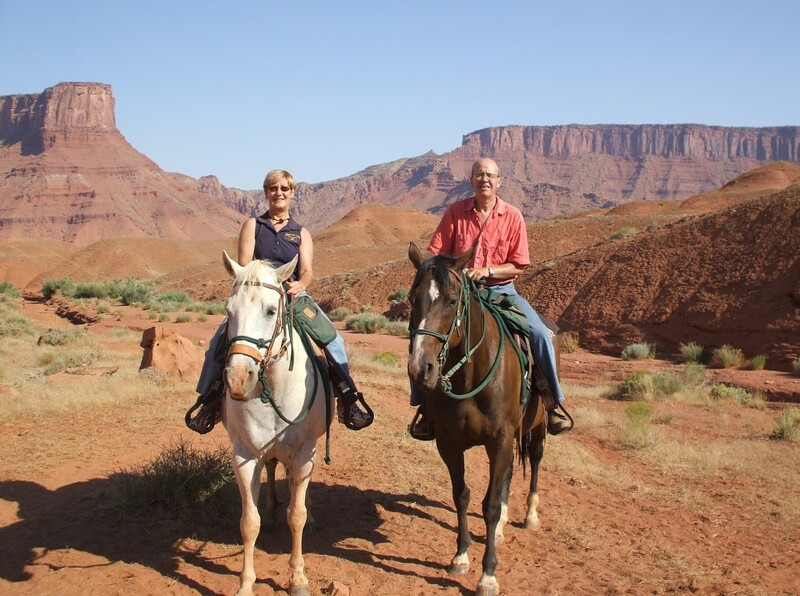 We awoke in our log cabin to yet another hot sunny day and after eating a magnificent breakfast cooked and served by Cheryl, we headed out to Yellowstone National Park (YNP). 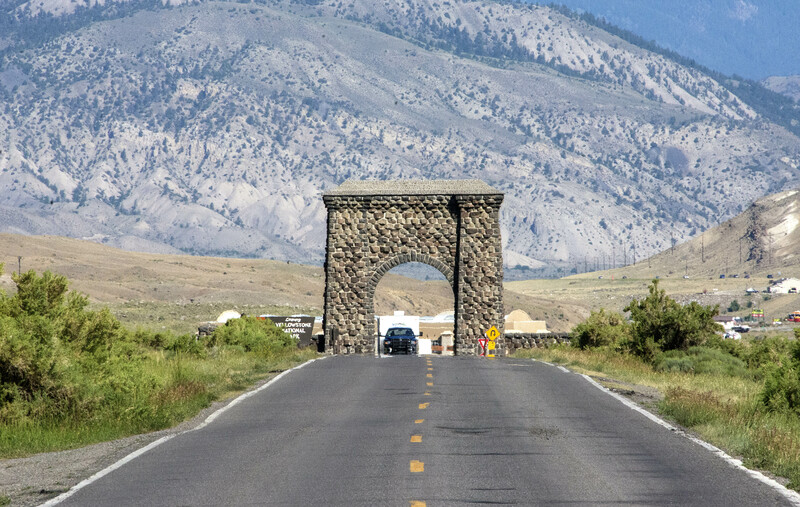 We have seen some mind-blowing, magnificent sights on our travels across the USA but what we have seen today at YNP outweighs everything we have seen so far. Over the past 18 million years or so, this hotspot has generated a succession of violent eruptions and less violent floods of basaltic lava. 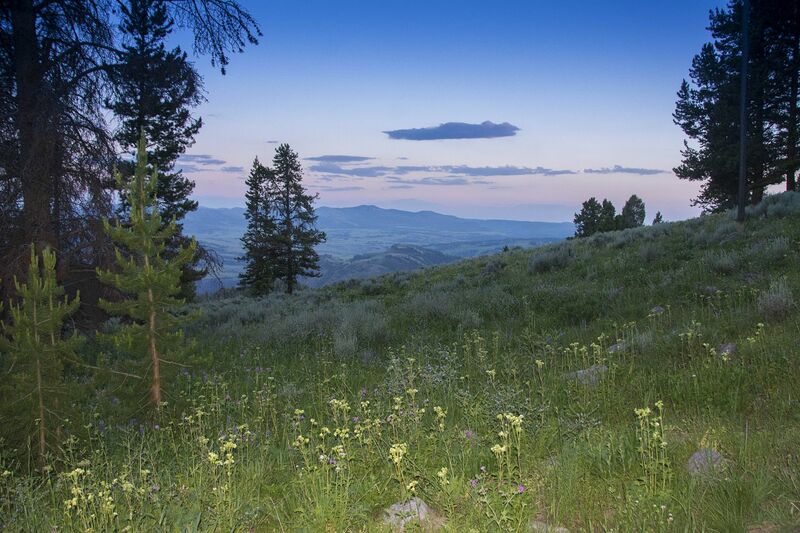 Together these eruptions have helped create the eastern part of the Snake river Plain from a once-mountainous region. At least a dozen of these eruptions were so massive that they are classified as super eruptions. 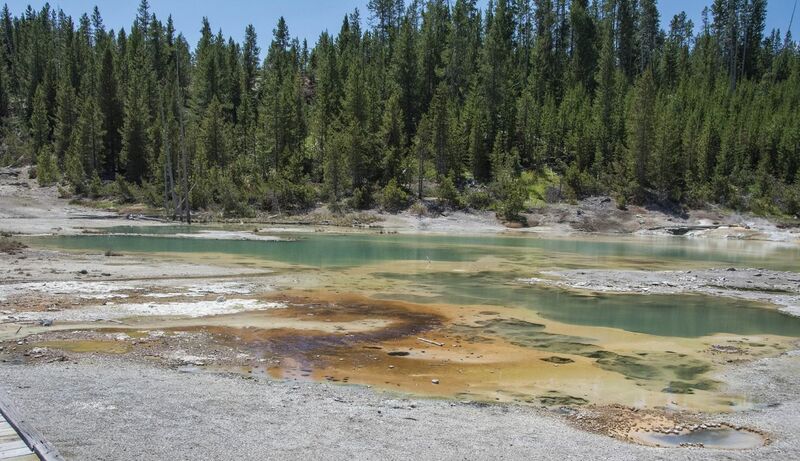 Yellowstone was established as the world’s first national park in 1872 primarily because of its unparalleled collection of geysers, hot springs, mud pots and steam vents. It is classified as an active volcano and has approximately 2000 earthquakes annually! 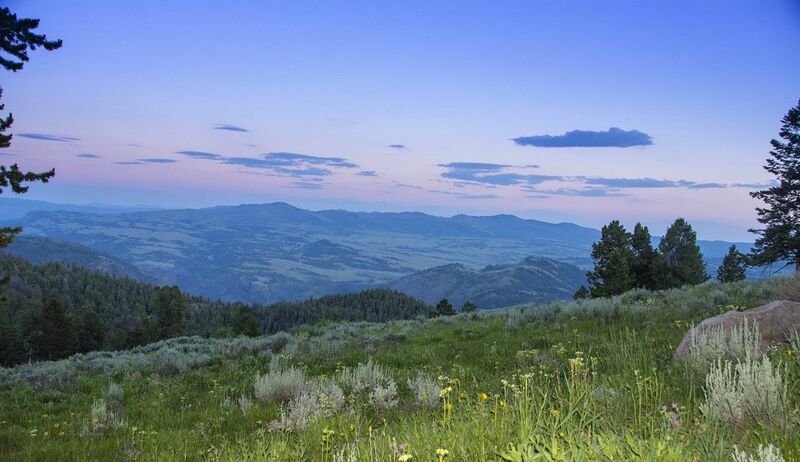 The highest point in YNP is Eagle Peak which stands at 11,358 feet above sea level. 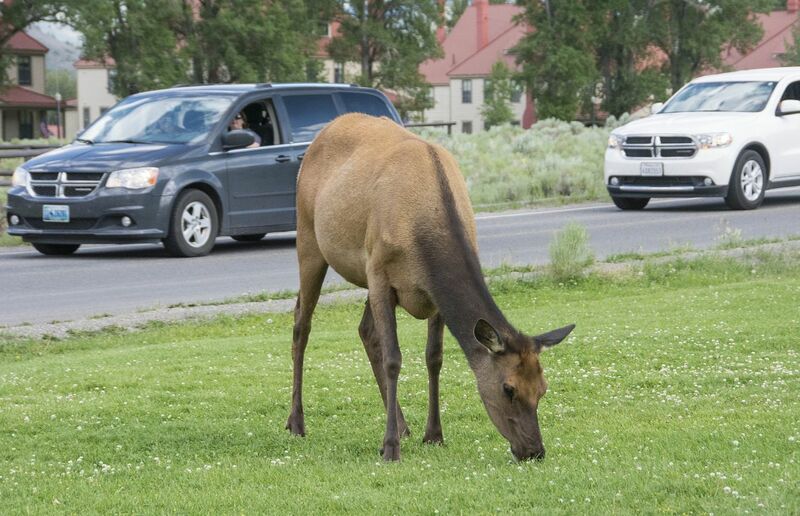 YNP gets approximately three million visitors a year of which only 140,000 visit in the winter. 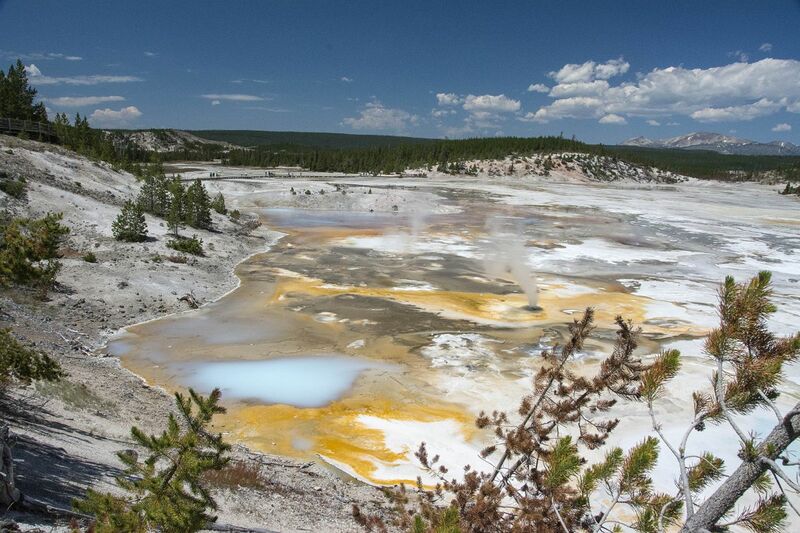 The 300 plus geysers make up about two-thirds of all those found on the planet! Combine that with more than 10,000 thermal features and you have a place like no other. 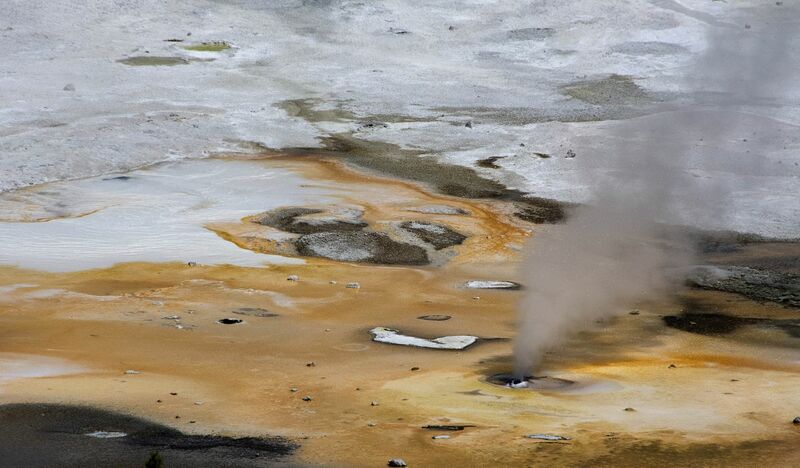 For those who like the technical detail; Geysers are hot springs with narrow spaces in their plumbing, usually near the surface. These constrictions prevent water from circulating freely to the surface where heat would escape. 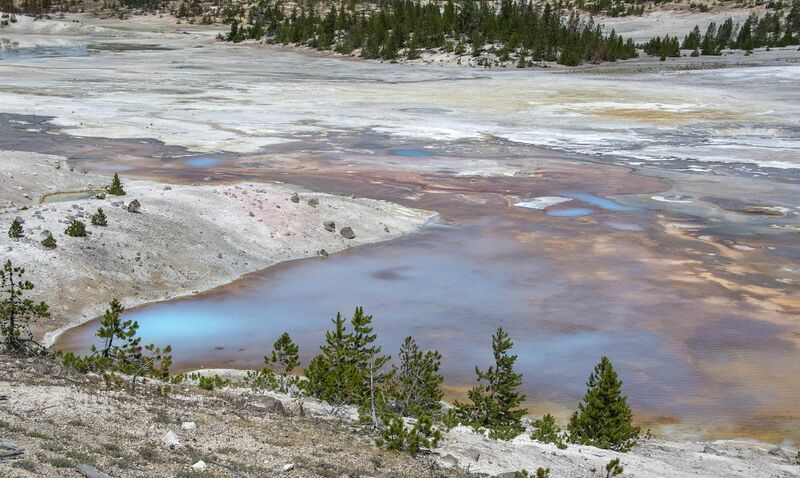 The deepest circulating water can exceed the surface boiling point (199ºF or 93ºC). 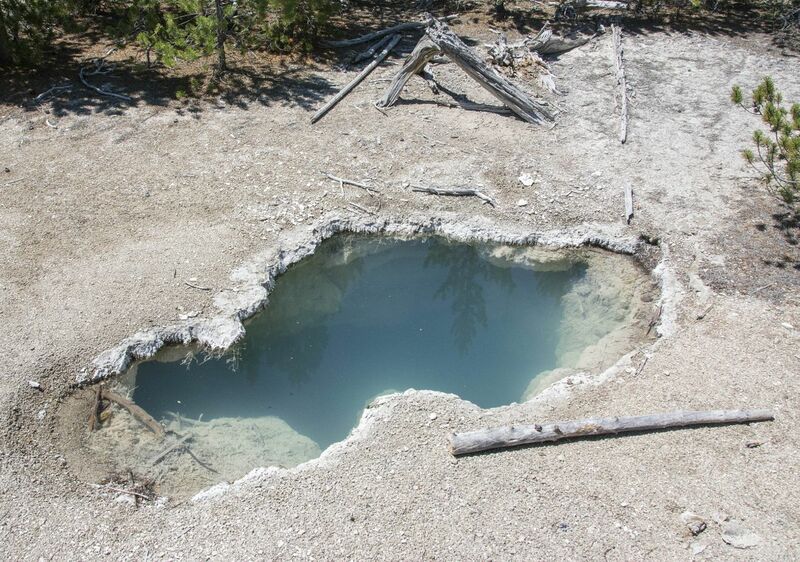 At Norris Geyser Basin a scientific drill hole measured 401ºF or 200ºC at just over 265 feet below the surface. Hot then!! 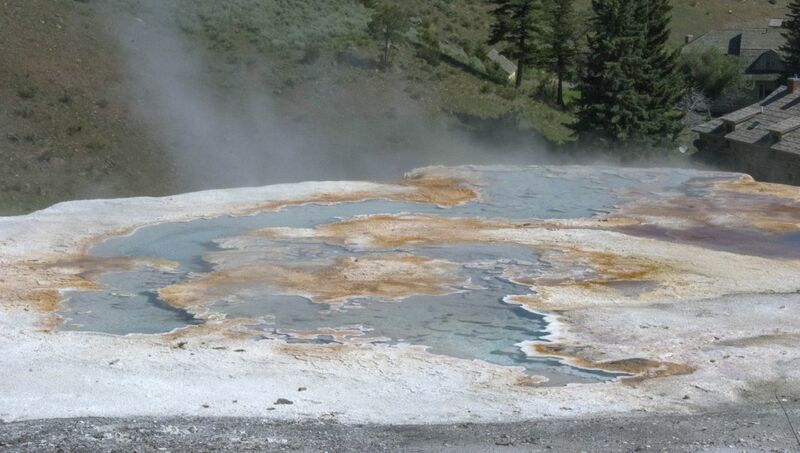 Hot springs are the most common hydrothermal features in the park. They vary from frothing mocha-like boiling water to clear and calm pools of unfathomable depth. 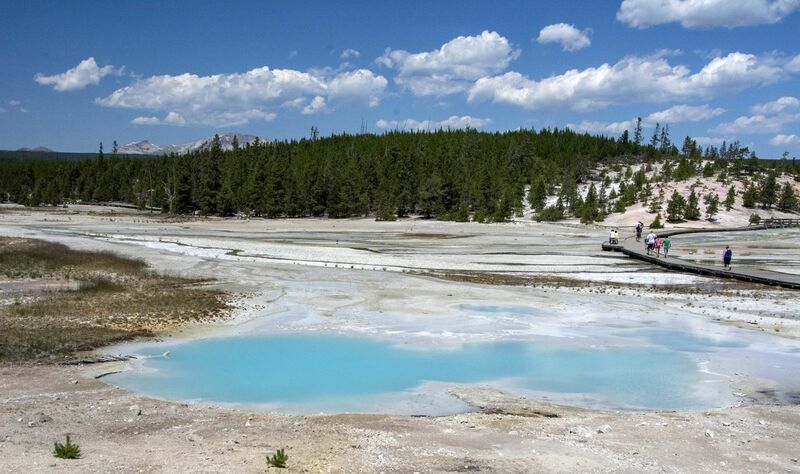 The colours of the hot springs are magnificent and the water is mostly clear. 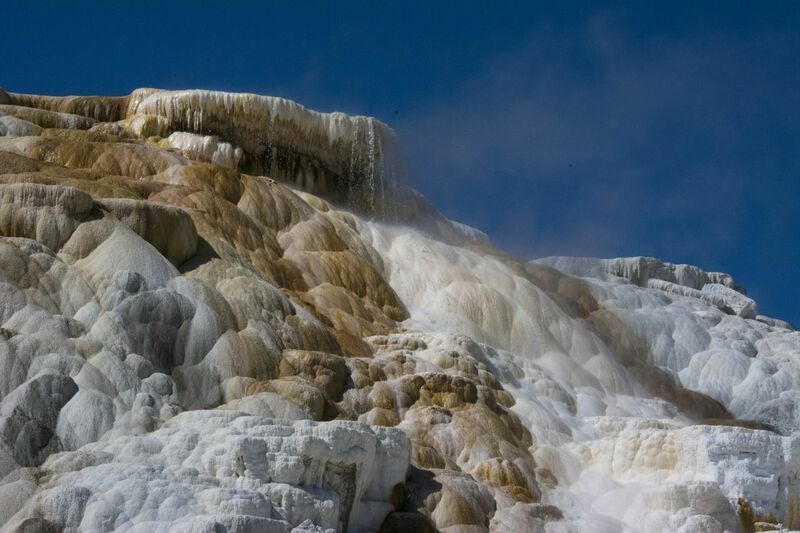 Travertine terraces are found at Mammoth Hot Springs, where interactions of water and limestone create chalk-white travertine. 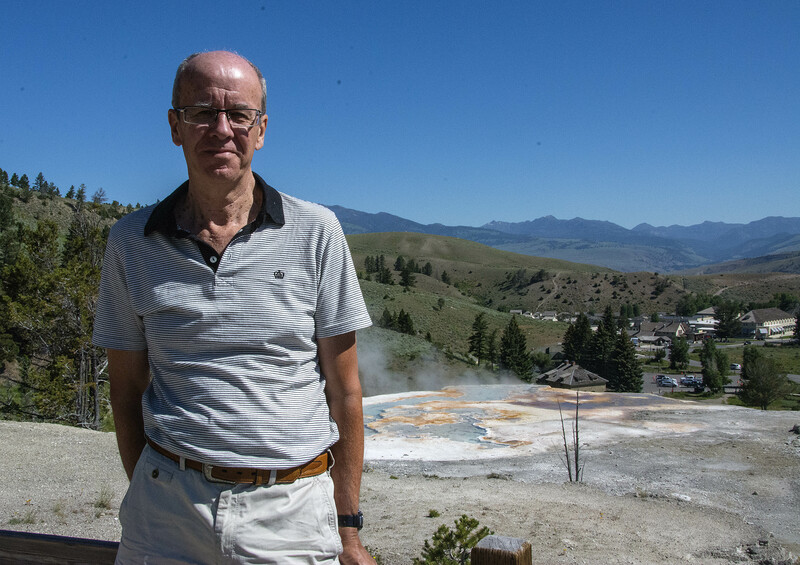 The overriding smell where the geysers are is one of sulphur or rotten eggs, although it was nowhere near as bad as we thought it would be!! 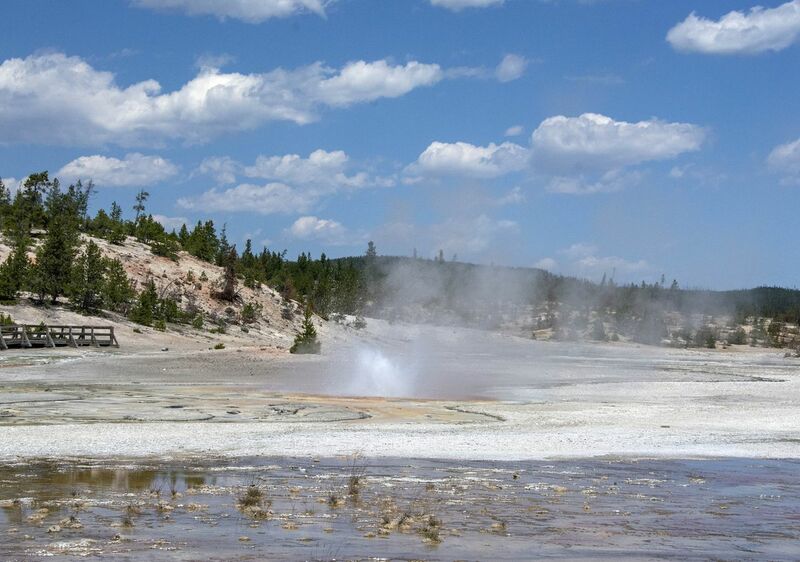 We were lucky enough to actually see one geyser erupt just as we arrived. 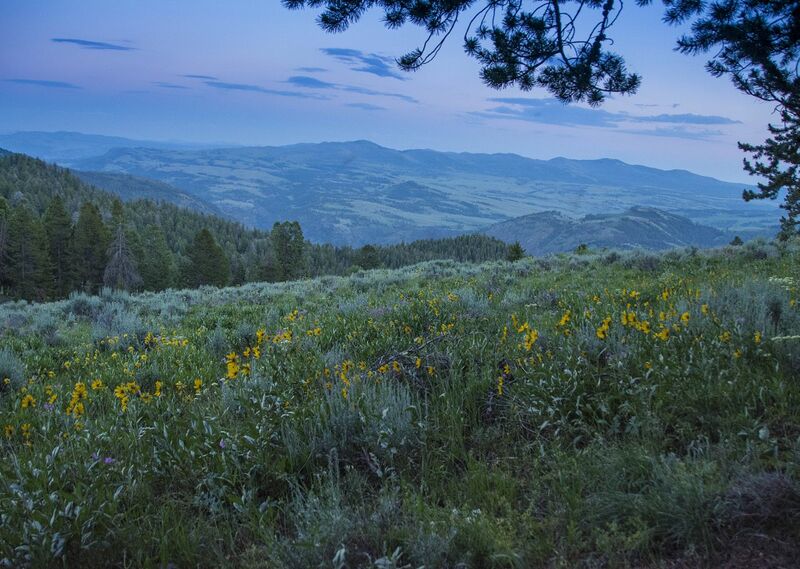 YNP as a whole emits 30-40 times more heat per square feet than the rest of North America. 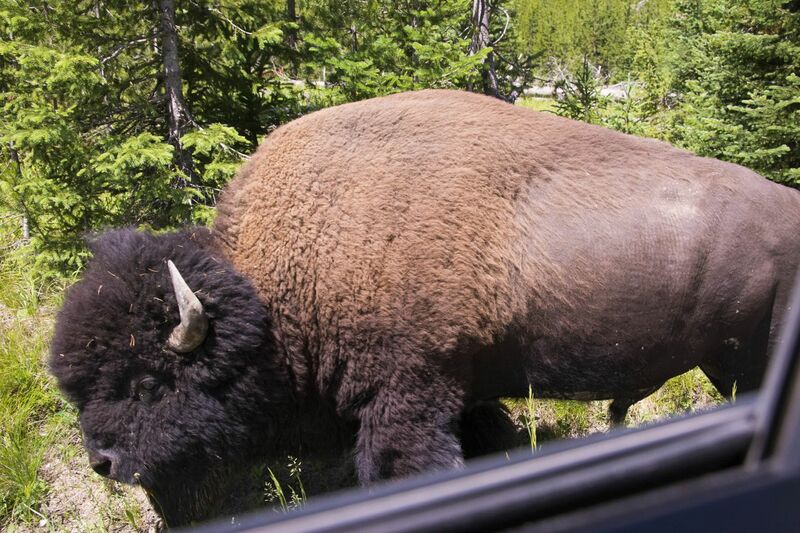 Wildlife roam freely all over YNP and today we were lucky enough to get ‘up close and personal’ with a buffalo, see a herd of elk and today …………. 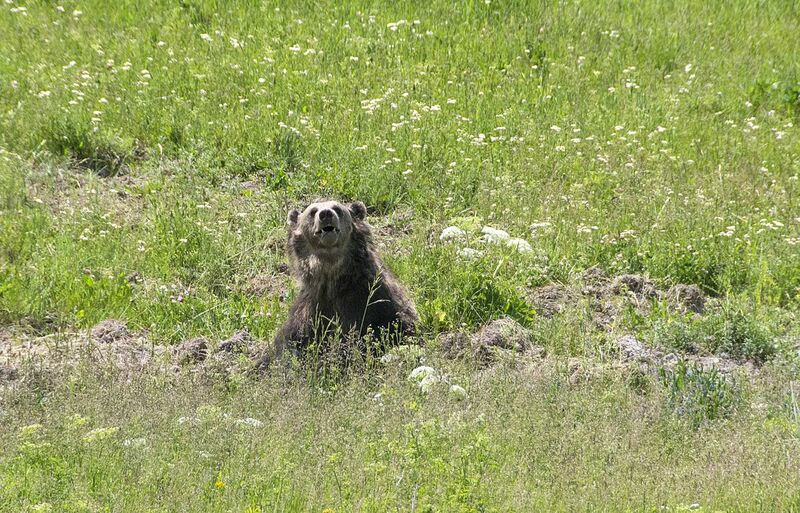 Si actually got to see a bear in the wild! We also saw an Osprey’s nest high up in the cliffs. 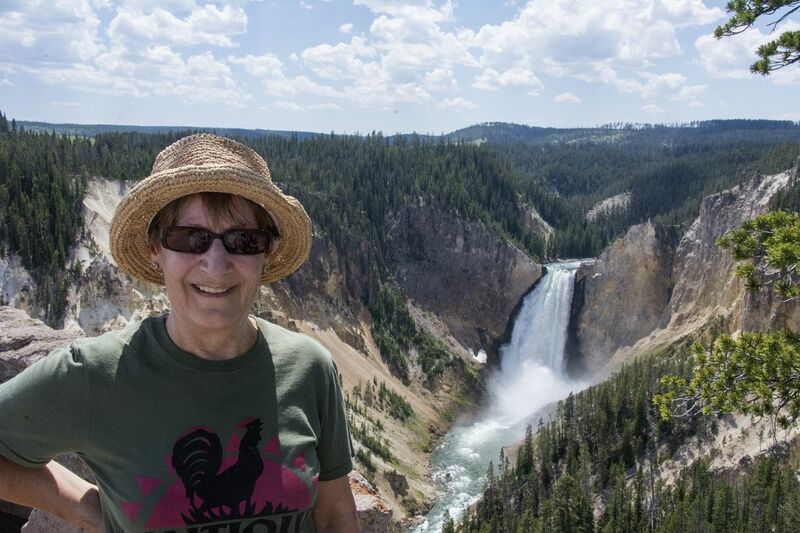 YNP even has its own Grand Canyon called Grand Canyon of the Yellowstone and it has a magnificent waterfall (Lower Yellowstone Falls) which looks just like a miniature Niagara Falls with the most wonderful rainbow. We hiked down to the Lower Falls which are actually twice as high as Niagara Falls at 308 feet (94 metres). The hike is a one-mile round trip with a drop of 600 feet but then of course we had to climb the 600 feet back up to the top, which at the altitude and heat made us a little breathless. The hike is classified as ‘strenuous’. We were ready for our dinner tonight, Cheryl cooked lasagna with salad and garlic bread and it certainly went down a treat. The other family from England have left and so today we were joined by the lovely Brogan family from the US. Si took a walk to take some sunset photos for you to enjoy! 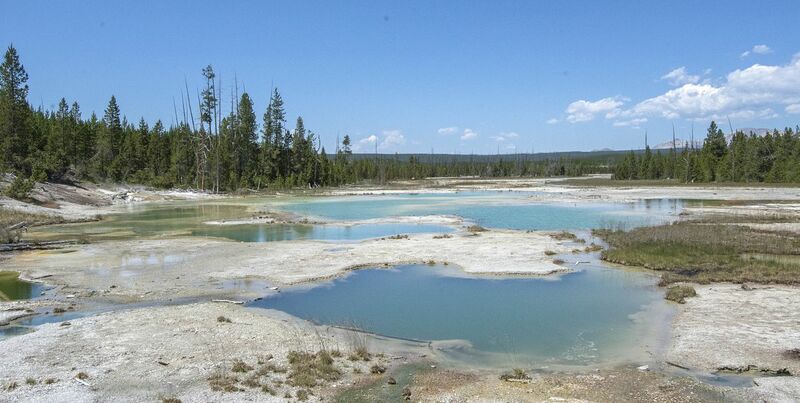 Tomorrow we continue our adventure in Yellowstone and will be visiting ‘Old Faithful’. OK having only been moderately envious of your trip I am now moving into full blown envy! 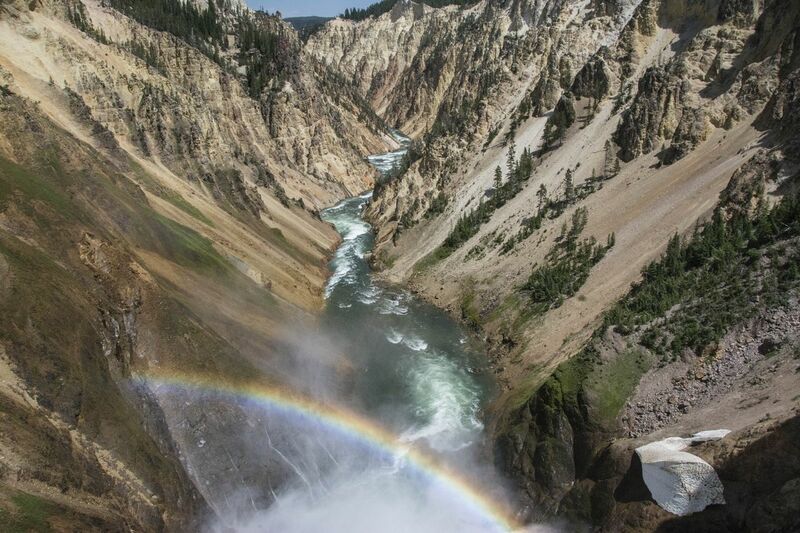 Yellowstone is pretty near the top of my bucket list. Si your photos better be good! So far it looks wonderful. Hi Si, you’d better move it to the top of your bucket list because it’s truly out of this world and I can’t really do it justice unfortunately. And there’s Si’s bear…finally. And he looks like he’s eyeing you pretty suspiciously! That buffalo is awesome looking. The blue and green scenary is just gorgeous! 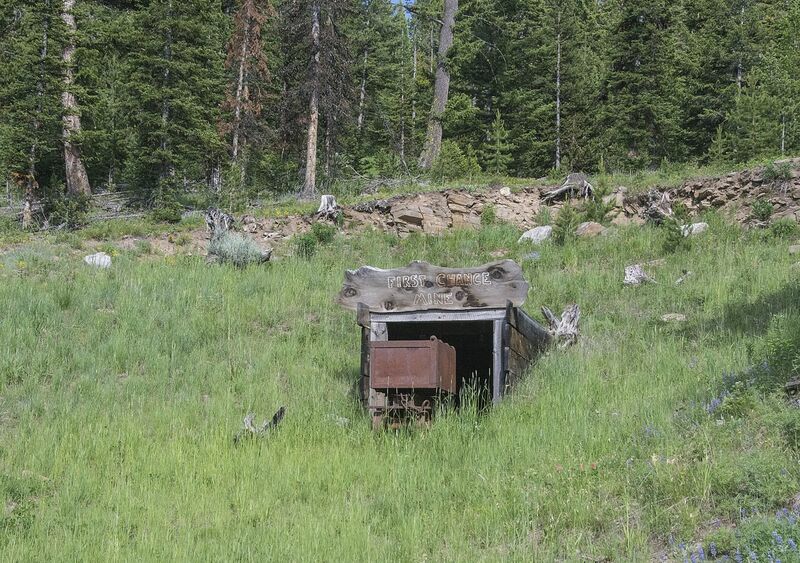 Thank goodness we saw the bear or I don’t think I would have heard the last of it. Yes, when I saw the buffalo I felt rather guilty about eating that buffalo steak!